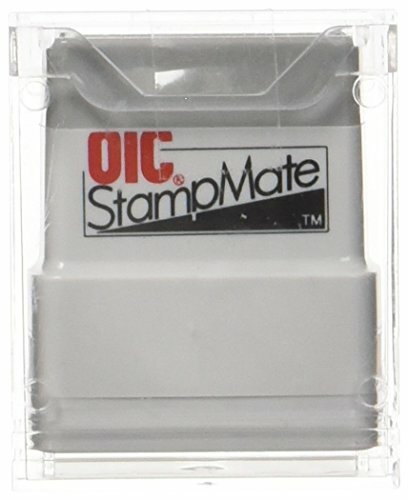 Self-inking stamp ready for immediate use. Individually packed in clear, hard sided, permanent storage boxes. Stamp specific messages to help with filing and organizing documentation. Prints the word "RECEIVED" in red with a column to fill in date or leave a note. Impression size: 1/2"H x 1 1/2"W. Refillable with Officemate OIC 77043 Blue Stamper Refill Ink or Officemate OIC 77044 Red Stamper Refill Ink.